If you missed the sell-out, smash-hit collections that Coach has created with Disney the past three times (it happens to the best of us), then we have some pretty epic fashion news coming your way. A fourth collection is on the cusp of landing in stores and online, and team Who What Wear got to call first dibs on what we'd buy first from the Dark Fairytale range. These are not only pieces that you can cherish forever and add to your ever-growing designer handbag collection (No? Just us? ), but there's also plenty of "buy now, wear now" mileage to get out of your investment: No one can deny the power of a black mini bag with added conversational value, and when you look at the Disney Eyes Pouch below, you'll see what we mean. The handbags and purses are, of course, a wise investment from the luxury brand famed for its leather goods, but you might be interested to know that there are other pieces available in the range, including sweatshirts and tees for all your novelty needs. So without further ado, let's take a look at the pieces that we predict will fly off shelves first, and let's hope that, just like in all Disney movies, you and your chosen one have a very happy ending indeed—and keep scrolling to find out all about Coach's exclusive competition. 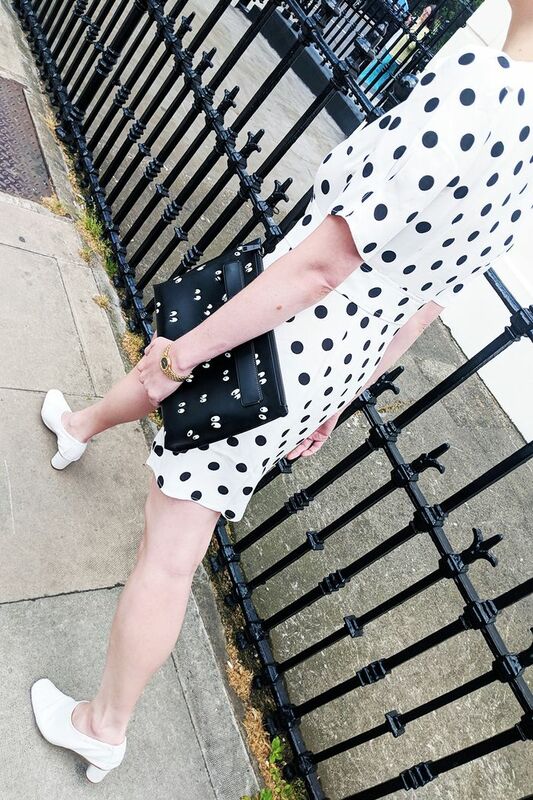 Polka dots, but not as you know them. Look closely, and you'll see that this Disney Eyes Pouch is actually dotted with cartoon eyes—a perfectly offbeat addition to this summer's biggest print trend. Coach's classic and ultra-popular Dinky bag has received a dark makeover with these stickers and embossed icons. You just know that squirrel's up to no good. When the rest of your look is plain and subdued, that's the time to reach for a loud piece of arm candy. Your blank canvas can take the logo print and sticker patches of this Canvas Wristlet so easily. Buying the collection is a great idea, but how about winning a piece? Yes, you can enter here for a chance to win your own surprise gift. T&Cs apply.